EM 1/c Wayne L. Kanouse, son of Mr. and Mrs. F. H. Kanouse, graduated from Brighton High School, Colo.; husband of the former Arlene Burke. 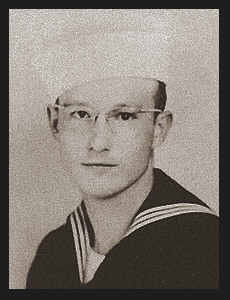 Entered Navy in 1944, trained in Farragut, Idaho and San Diego, Cal. ; served in the Philippines. Awarded Good Conduct Medal.